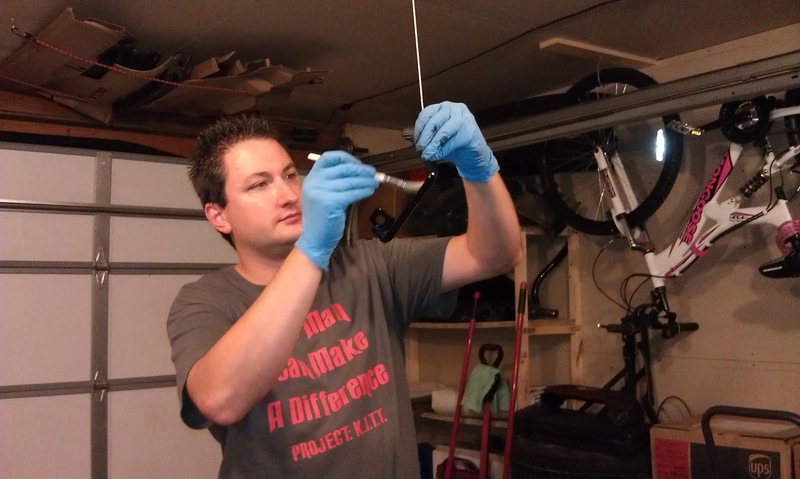 Project: K.I.T.T. : Stress Cracks Or Just Stressing About Cracks? 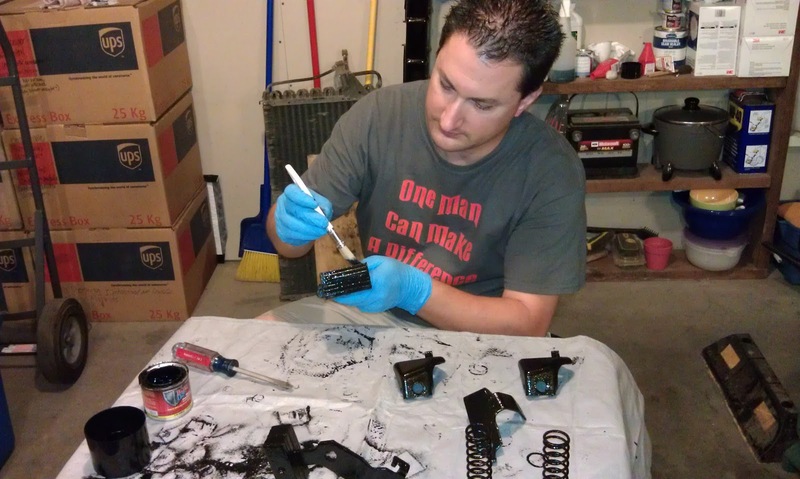 Here are the parts after the first coat of POR-15. 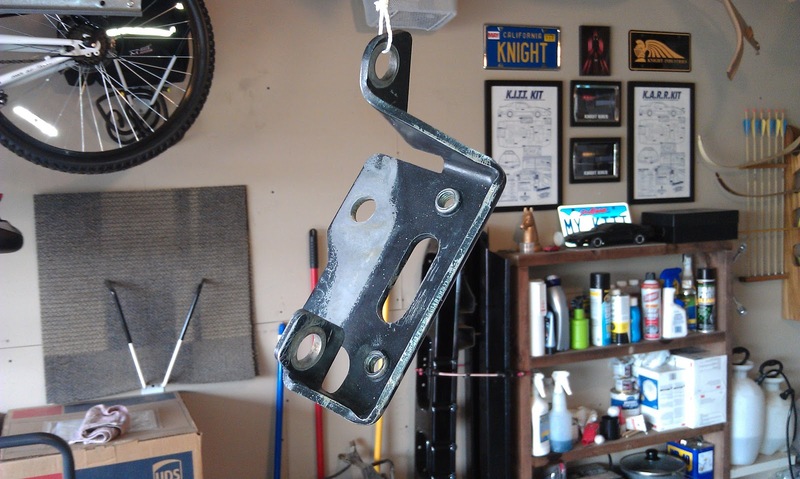 After I finished applying the first coat, I decided to check out the area where the steering gear box bracket mounts and I discovered this! 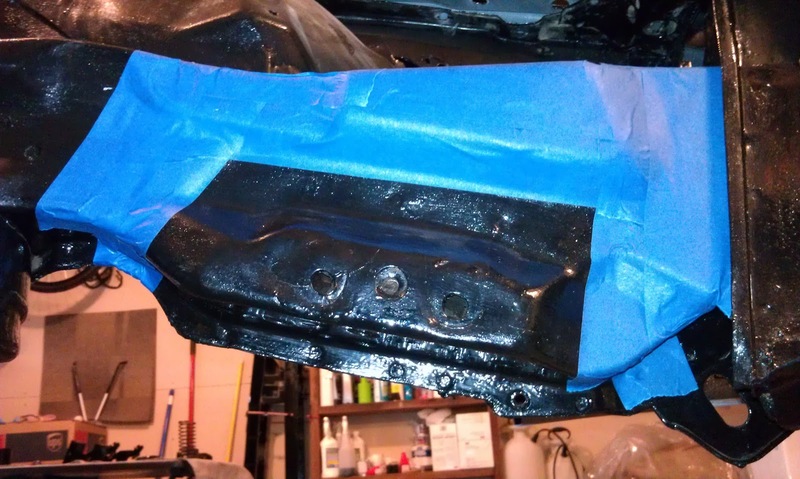 I am not sure how I missed this when we painted the engine bay, but I did. 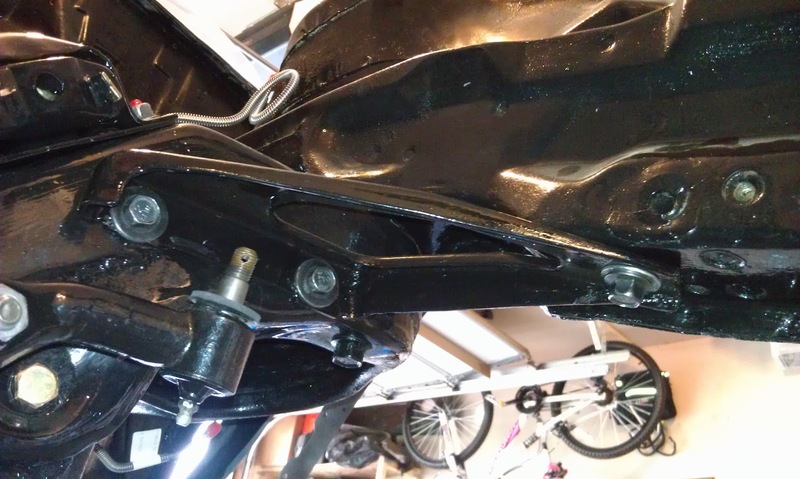 There are small stress cracks on the steering gear box mounting point closest to the K-member. 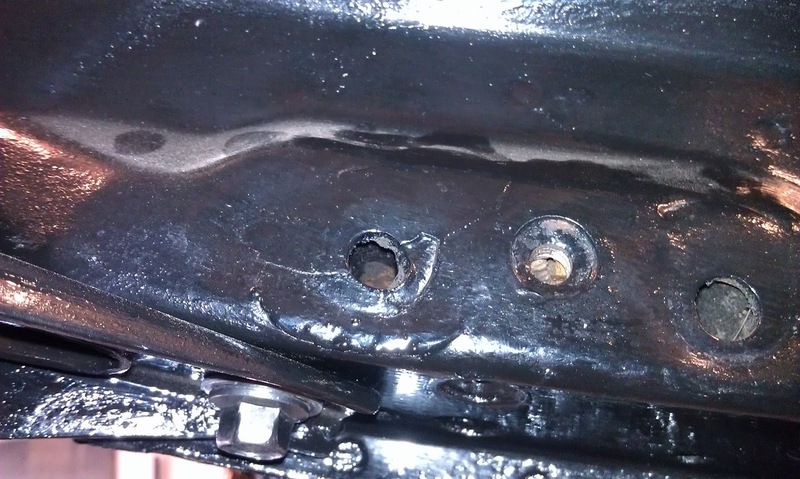 In the picture above you can see that it is cracked along the bottom of the mounting point. There are also small cracks at 2 o'clock and 8 o'clock respectively as seen in the picture below. At this point I was not positive, but had a real good feeling this was going to need to be repaired before moving forward. 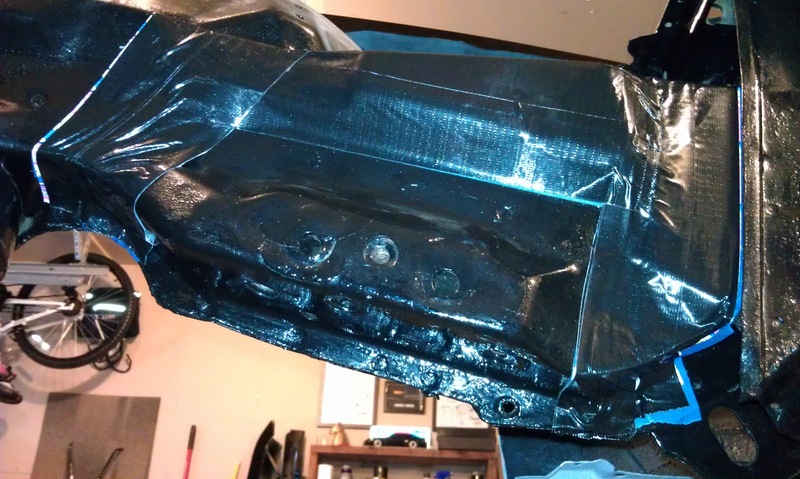 I called Troy in between the first and second coats of POR-15 to ask about the stress cracks. 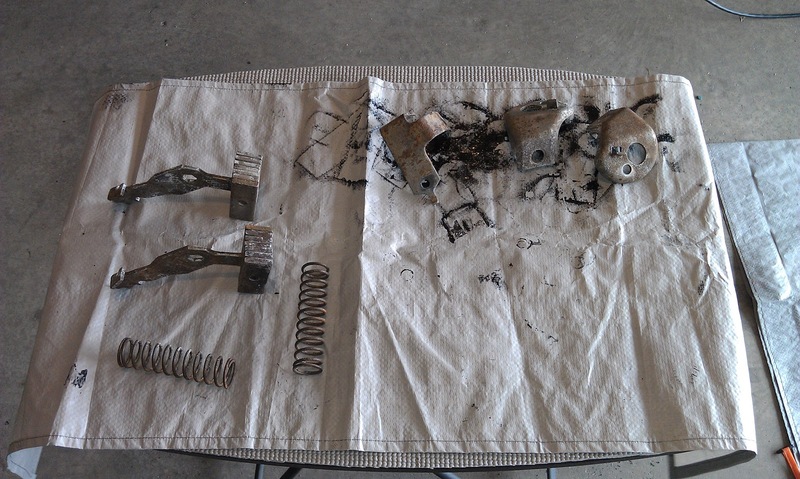 He confirmed what I was thinking and said that they need to be welded and repaired. 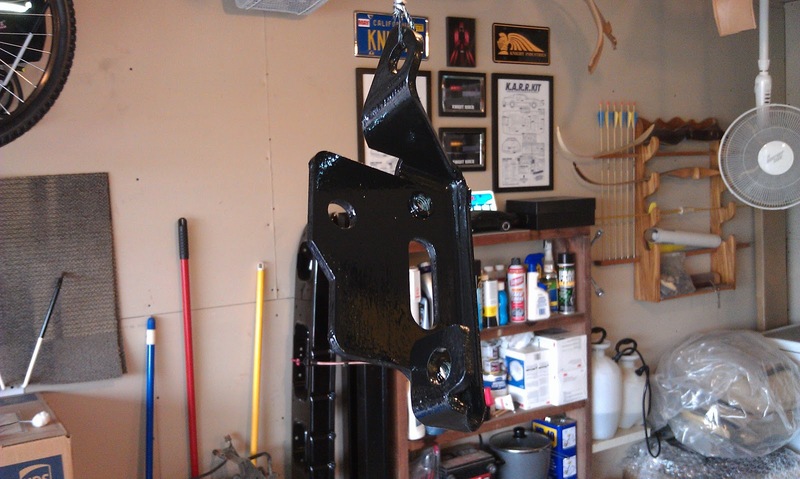 He told me to grind down the surrounding area and then we could weld it up. 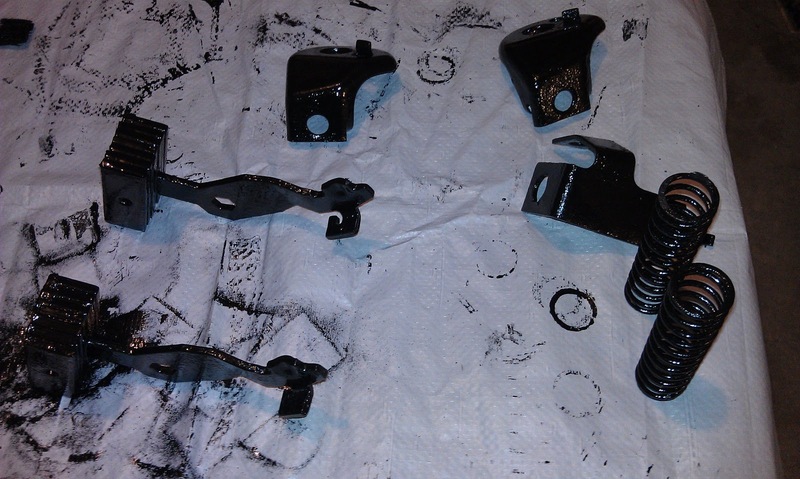 Here are the parts after I applied the second coat of POR-15. 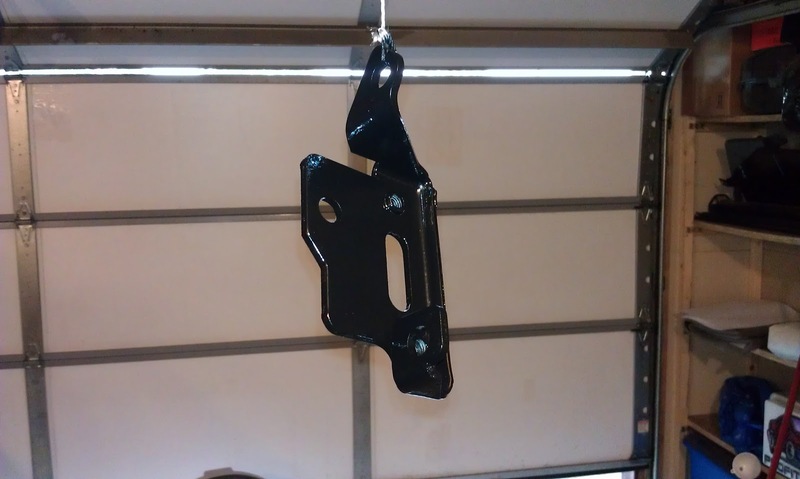 In order to grind down the area surrounding the cracks I was going to need to remove the driver side K-member support bracket I had installed previously. 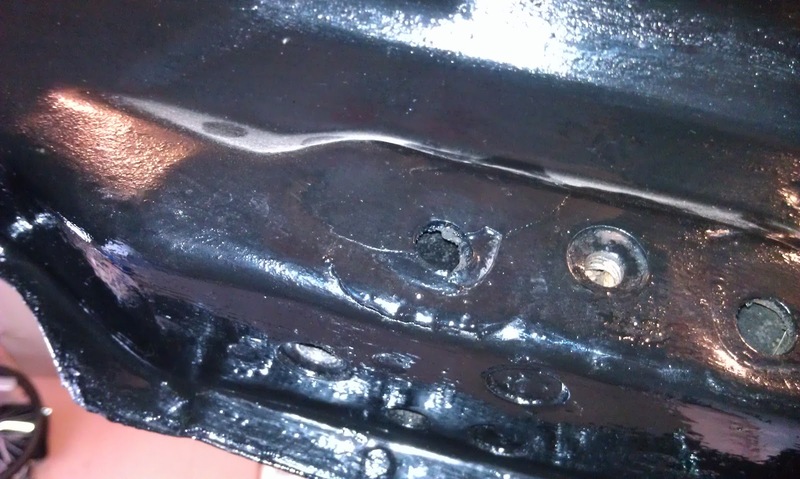 Here is another picture of the cracks with the support bracket removed. 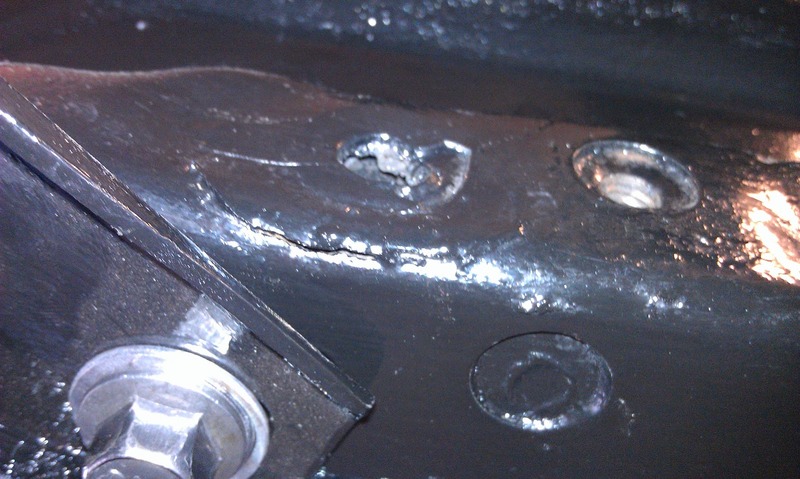 I also took some more time to examine the rest of the frame in this area for further damage, but thankfully found none. 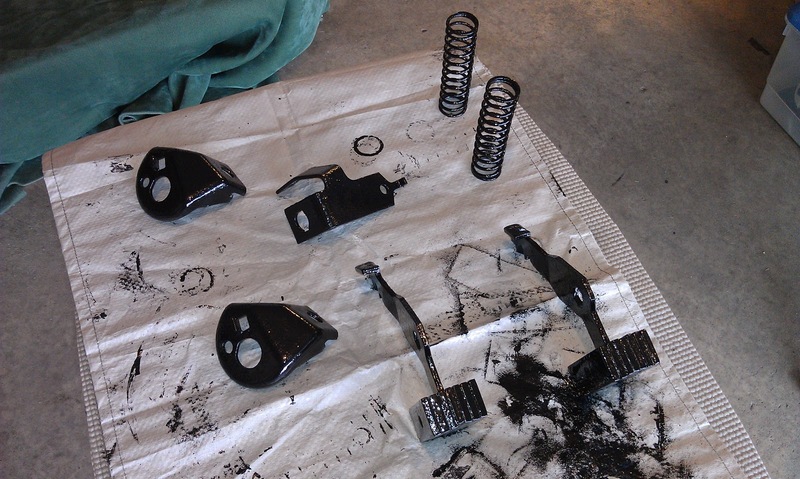 Here are the parts after three coats of POR-15. 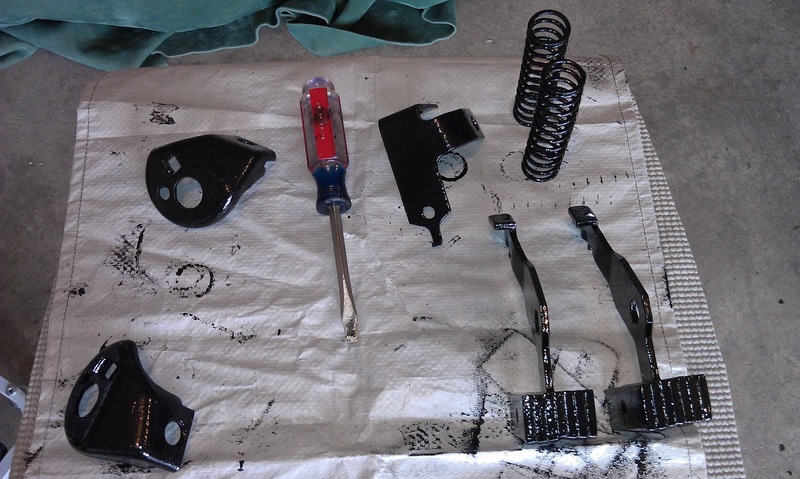 After I finished painting I decided to mask off the area I intend to grind down to the metal. I started with masking tape and then followed up with two layers of duct tape for durability. I chose a little larger area than necessary, but I want to make sure there is nothing hiding underneath the POR-15 that also needs to be addressed. 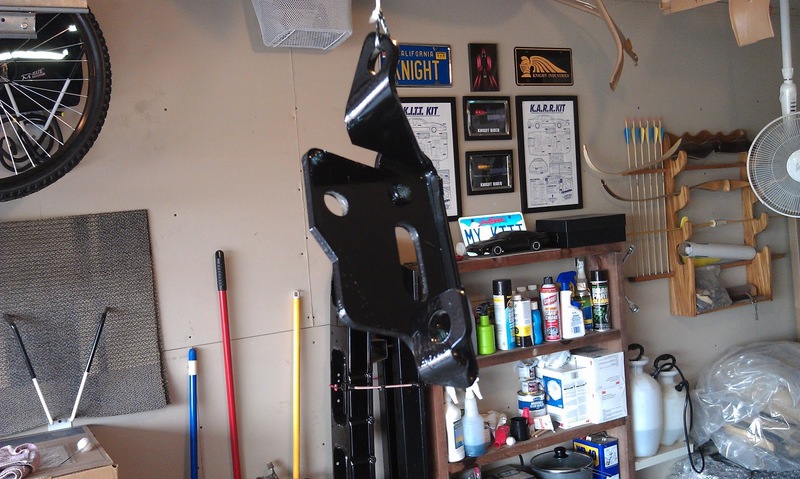 After work tomorrow I will wire wheel this down to bare metal and then have Troy weld it as soon as he is available. With the delay caused by the steering gear box bracket and now this KITT obviously will not be on his wheels this weekend, but maybe by next? 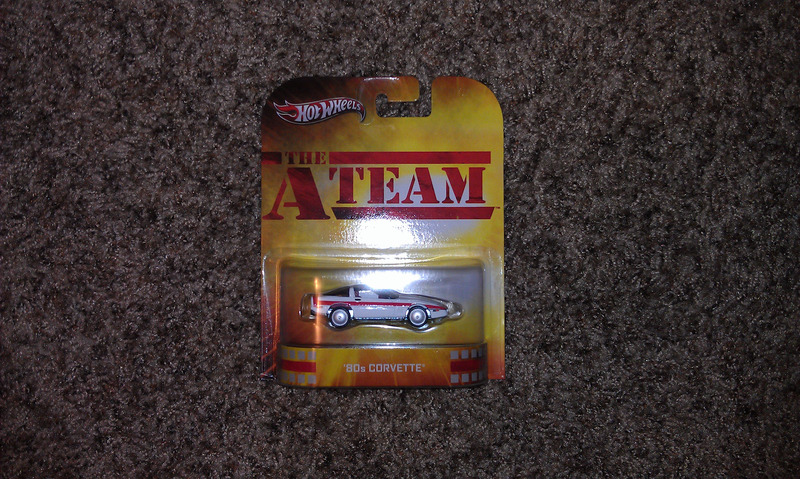 Sara had to run to K-mart tonight and brought me back the Hot Wheels Retro Entertainment A-Team Corvette! Thanks Sara, you're the best!